DEBUT ALBUM AVAILABLE NOW! https://itunes.apple.com/us/album/isaac-hayden/id917027931 Isaac Hayden's music comes from the most honest part of himself. From a childhood on an island in Washington State and in Jackson Hole, Wyoming, Isaac's songs all promote a realness and simplicity that touches on both where he comes from and what moves people. 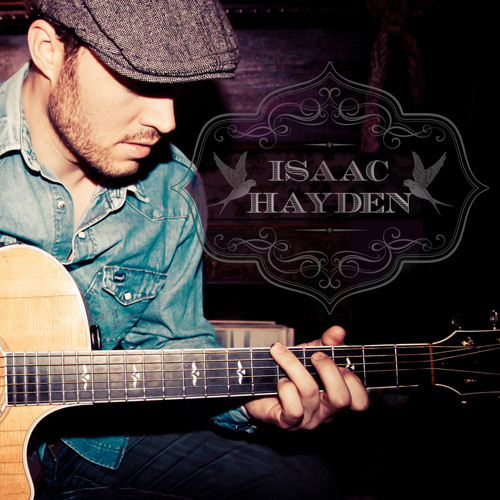 Isaac began learning guitar while attending a small liberal arts college in Spokane on a basketball scholarship. His school education quickly began to take a backseat to his musical one, and he left college to travel landing in several different cities including San Diego, and then Nashville, where he's currently recording an album and planning his next tour. Isaac has booked two independent American tours, performed all over the U.S., Canada, and parts of Europe, and has opened for Keb Mo, Martin Sexton, Fitz and the Tantrums, Toni Joe White, Ricky Lee Jones, Big Head Todd, and Sam & Ruby, among others. His live shows are garnering a lot of attention around town, and he's eager to get back out on the road. When asked what he loves most about playing live, Isaac says, "getting to the place where I'm able to perform with the same energy and emotion that I feel exists in a song." It's a testament to the value he puts on human emotion. And that's just what his fans will find in Isaac Hayden.